Scientists think they've finally figured out why some icebergs around Antarctica take on a vivid green hue rather than the blueish snowy white colour that we all appreciate. 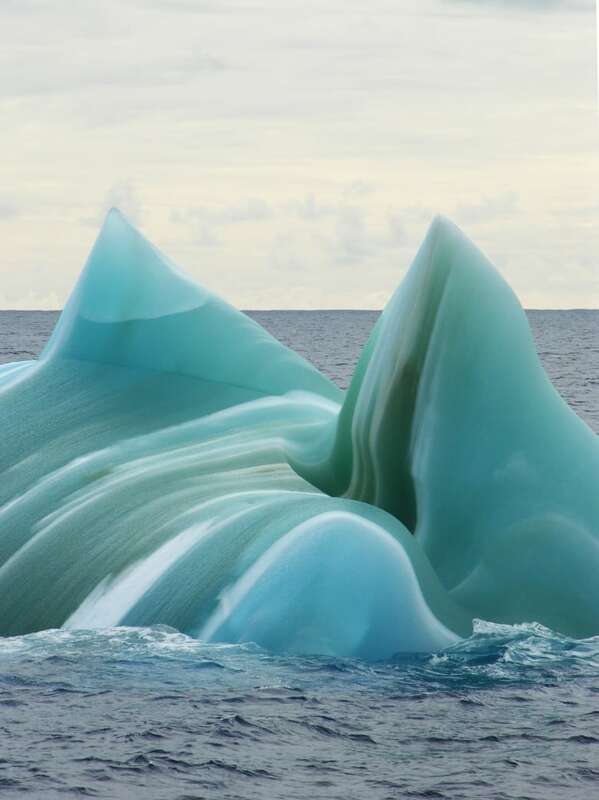 Since the early 20th century, explorers and sailors have reported seeing icebergs around Antarctica that range from emerald green to jade, to chartreuse. Just what gives them this colour is a mystery that scientists have been trying to solve for decades. 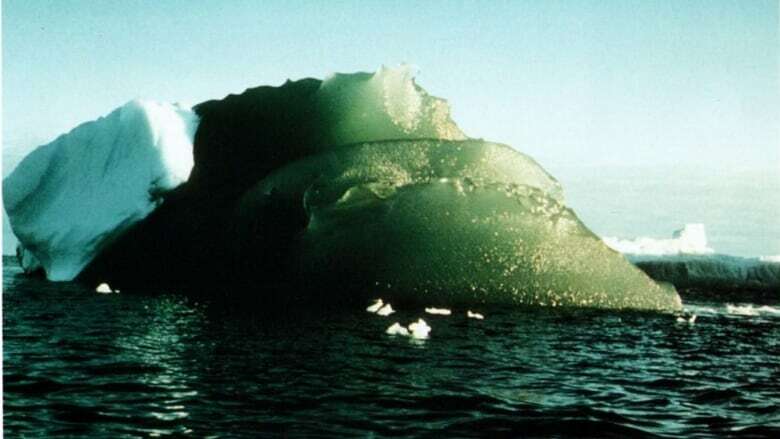 Dr. Collin Roesler, a professor of Earth and Oceanographic Science at Bowdoin College in Brunswick, Maine, said she first got involved in solving the mystery of the green icebergs when one of her professors told her class about them in the early 80s. "I raised my hand and I said, 'Well, one of the reasons why they might be green is because seawater is green,'" said Roesler in an interview with Quirks & Quarks host Bob McDonald. "If you're at a productive area and there are lots of phytoplankton growth production, there's organic matter in the water. And organic matter tends to make the waters green." Her professor arranged to have samples of marine ice, which he thought was the source of the green icebergs, shipped to Roesler in a frozen suitcase so she could test them..
Marine ice is different than the sea ice that freezes at the surface. "This ice is frozen on the underside of an ice shelf where the glacier flows off the continent, hits the ocean and begins to float," said Roesler. "When this ice shelf ultimately calves at the edge, if that iceberg — which is now calved off the ice shelf, becomes unstable because of melting and flips over, you get to see the underside." Roesler tested the light absorption properties of the marine ice samples, which can reveal what is in the ice. She found it had absorption properties that were consistent with green organic matter, and that seemed to answer the question. When she brought those samples home, she again tested the absorption properties. But she also sent some of the samples to a colleague to measure the organic carbon concentration. "There just didn't seem to be a tight relationship," between the carbon concentration and the intensity of green in the icebergs. This inconsistency suggested a problem with the theory that the green came from carbon-rich organics in the ice. "We've been kind of sitting on those ideas for a long time because we didn't have a lot of samples. But the ones we had didn't present a very clear picture of what we 'thought' was going on." A few years ago, Warren was presenting their data they had at a glaciology meeting when he was alerted to a new paper that was coming out about research done in Australia that would provide their next clue. 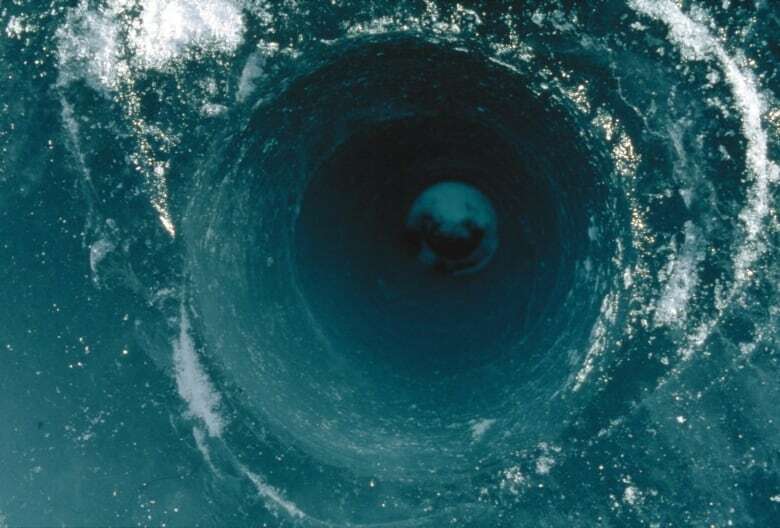 "The Australian scientists had measured concentrations of iron in marine ice under the ice shelf," added Roesler. "They found thousands of times more iron in this ice than you would find in the glacial ice or in the seawater around Antarctica." Since iron, which we think of as being a 'rusty' colour, absorbs light strongly in the blue part of the spectrum, and ice absorbs strongly in the red wavelengths, "What you're left with is the middle part of the spectrum, which is green." The iron gets into the ice as glaciers flow down the continent and grind up the rocks it's travelling over, which turns the iron-bearing rock into a fine powder. "So that material will contain whatever minerals are in the underlying rocks," said Roesler. "And once you go through these chemical and physical weathering processes, what's often left is elemental iron." 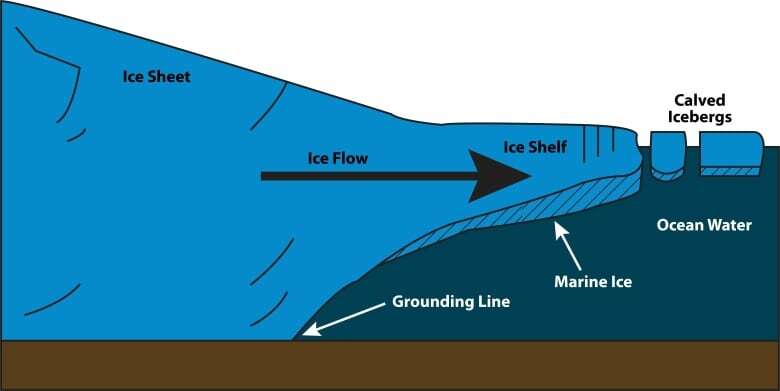 As the ice flows into the ocean, it will start to release these particles into the water, which then freezes on the underside of the ice shelf into the marine ice. 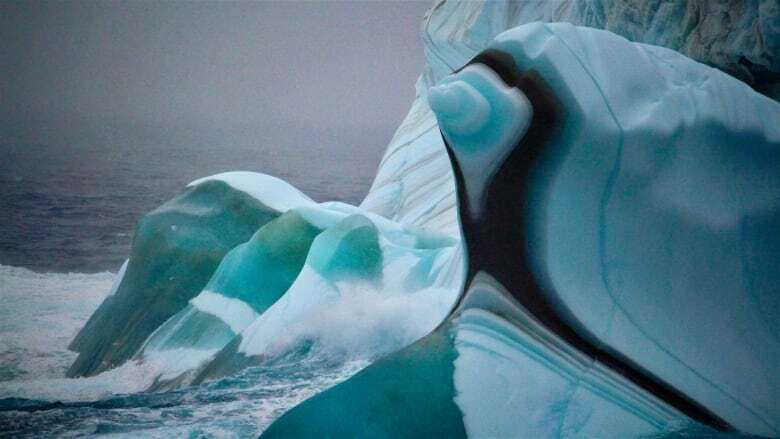 One exciting thing about this insight is that it doesn't just explain the colour of these interesting icebergs, it also may give important insight into what's supporting life in South polar waters. 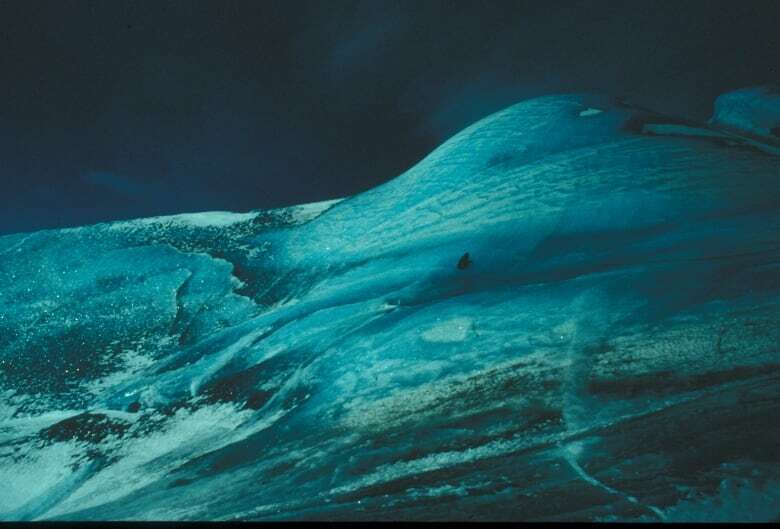 The waters around Antarctica are known to be low in iron, which limits ocean productivity. "If these icebergs are indeed containing iron, and as the icebergs flow around Antarctica they're releasing that iron, they're essentially naturally fertilizing the phytoplankton," added Roesler. "It would increase primary production in the water." Scientists in Australia have been studying ice shelves in the regions where Roesler suspects a lot of iron is being frozen into the marine . They've found that not only is the iron concentration in that marine ice in the ice shelves high, but around the shelves there are larger phytoplankton blooms than in other areas around Antarctica. This phytoplankton is the base of the marine food chain and ultimately supports population of fish, birds and marine mammals. "So there's a lot of tantalizing evidence that the Australians have found," said Roesler. "And so one of the things we'd like to do is measure it on the green icebergs."